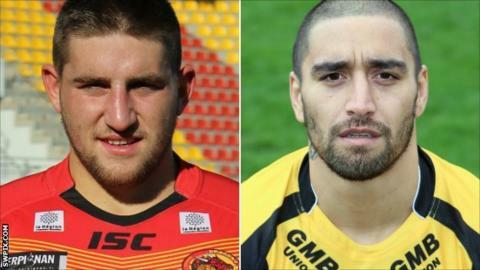 Catalan Dragons prop Julian Bousquet has been suspended for four games and Castleford stand-off Rangi Chase for two by the Rugby Football League disciplinary tribunal. Bousquet pleaded guilty to a Grade D and was fined £300. The 26-year-old pleaded not guilty to the Grade B offence and was fined £300. Widnes Vikings prop Ben Cross submitted an early guilty plea to a Grade B offence of making a late tackle on St Helens full-back Paul Wellens, and accepted a one-match ban.